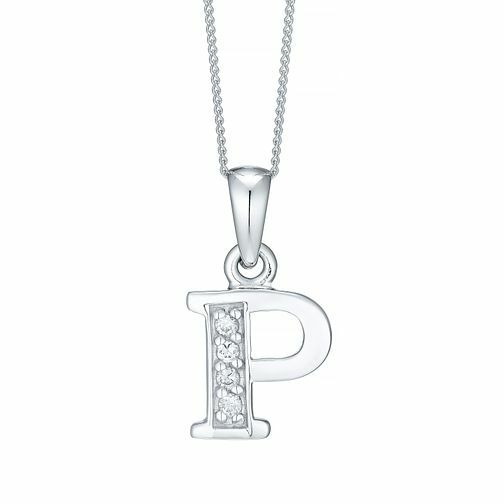 This chic sterling silver initial P pendant will make a thoughtful and personal gift for someone special. Finished with a fine chain and set with glittering cubic zirconia stones to add just a dash of glamour to this pretty accessory. Rhodium-plated Cubic Zirconia Initial P Pendant is rated 5.0 out of 5 by 1.